When I was a kid I could usually be found curled up somewhere with a book. Look at that picture below. See? I looked JUST LIKE THAT. I had favorites, of course – books that I read and loved. Every reader has such a list, and mine is a long one, but here are the three books at the very top. 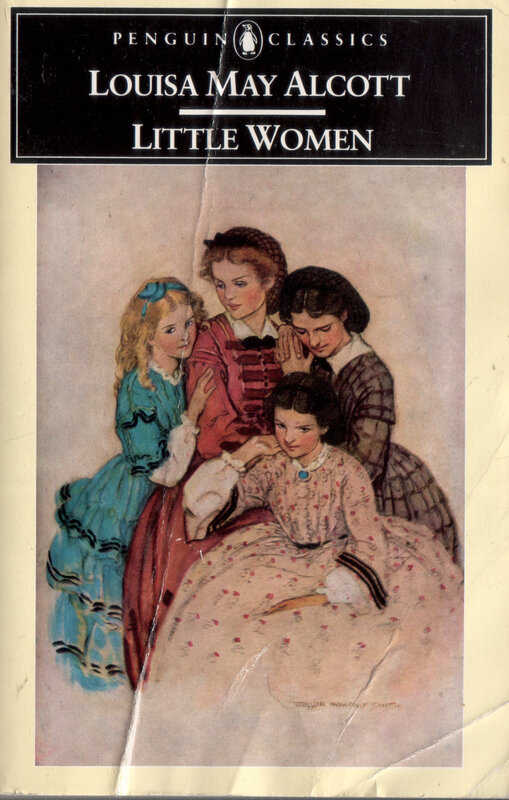 How many girls have been inspired by Louisa Alcott, I wonder. The number must be in the millions. She gave us a loving family, a supportive mother and four sisters to choose from as role models. All the elements that we look for in a moving story are here: conflict, tragedy, romance, noble heroines and heroes, disappointments and, eventually, a happy ending. I owe Ms. Alcott a great debt for creating the character of Jo March and inspiring me to be a teacher and a writer. Keen-eyed readers of my novel The Price of Blood will find a nod to Ms. Alcott in one of its scenes. Montgomery’s redheaded Anne Shirley appealed to me because although she was clever and good-hearted, she managed to get into one scrape after another. Clinging to a bridge support, stranded, in the middle of a river and getting her best friend Diana Barry drunk on elderberry wine are just two examples. For a ten-year-old me who didn’t always make the right decisions, Anne was not so much a role model as a kindred spirit. (How many times did my father say to me, “I don’t know how someone so smart could be so dumb”?) For years I wished that my hair was red and that my middle name, Ann, was spelled with an E.
At first glance Mary Lennox appears to be an unlikely heroine. Orphaned, unlovely and sullen, she is self-absorbed and even a little mean – until she meets her cousin Colin and sees herself reflected there. Of all my favorite heroines, Mary had the most to learn – about herself and about the world. 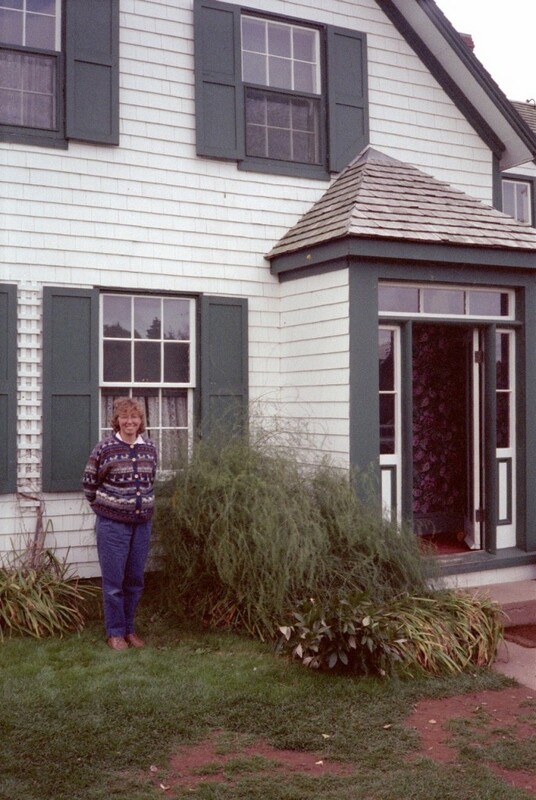 Like the slumbering garden that she nurtured into wakefulness, Mary’s personality blossomed under the gentle guidance of the people who befriended her. Did I recognize myself in sullen little Mary when I was a child? Probably not, although I see my young self in her now; I could pout with the best of them. 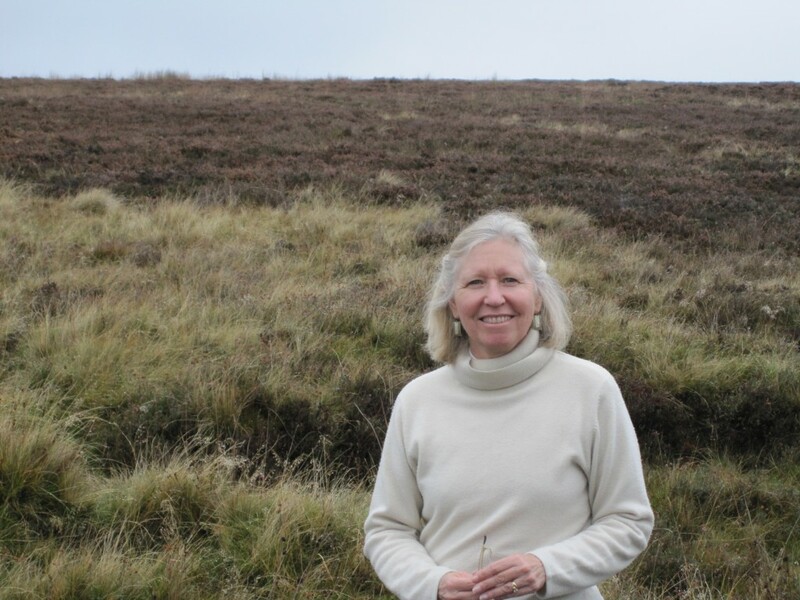 No, I was enraptured instead by the huge, mysterious house in which she found herself, by the Yorkshire moors that struck me as no less strange and mysterious, and by the garden that, growing up in suburban Los Angeles, I could only imagine. Does anyone read these classic novels today? There is a whole new crop of adventurous heroines now to inspire girls, and I have a feeling that Jo, Anne, and Mary have been replaced by newer heroines like Hermione and Katniss. But where did Hermione and Katniss come from? No writer works in a vacuum. The writer’s mind – and the readers’ minds! – carry the memories of earlier stories and earlier characters, embedded so deeply that often we don’t realize they are there. They color our expectations of what a heroine should be or what a villain should be. Sometimes the influence is conscious. Katniss Everdeen’s last name, for example, is pulled from a character in Thomas Hardy’s Far From the Madding Crowd; and J.K.Rowling’s literary allusions are legion. 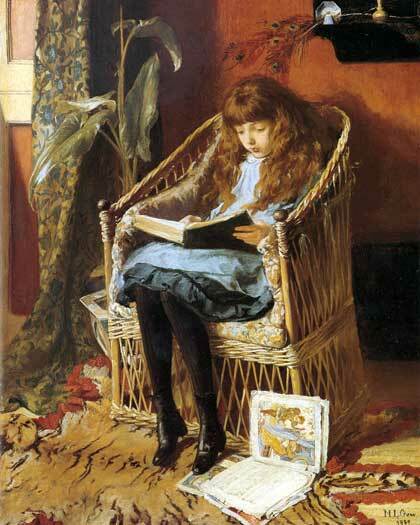 Without her wide reading, surely begun in childhood, there would be no Hermione or Harry. So while I applaud the new heroines, I also hope that the moving stories that inspired so many readers once upon a time will continue to be read and treasured by little girls for years and years to come. Orchard House, Concord, Mass. 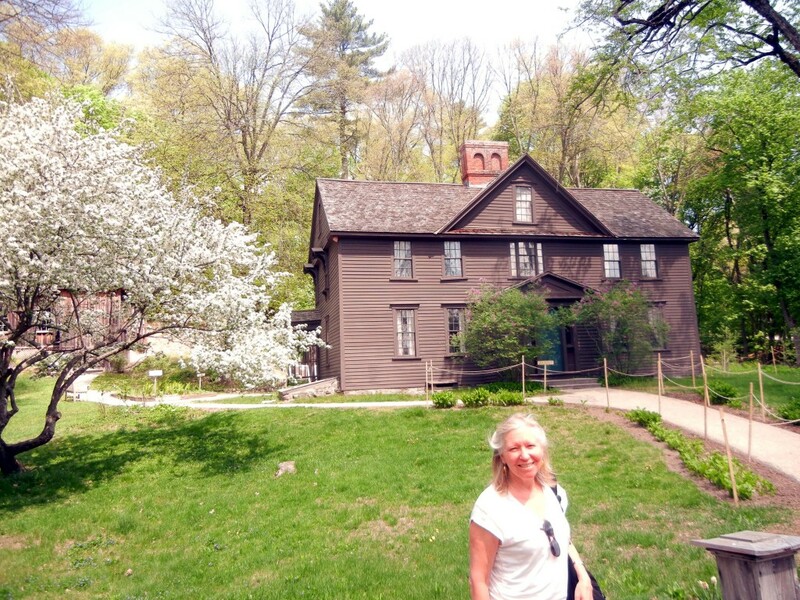 Where Louisa May Alcott wrote Little Women. 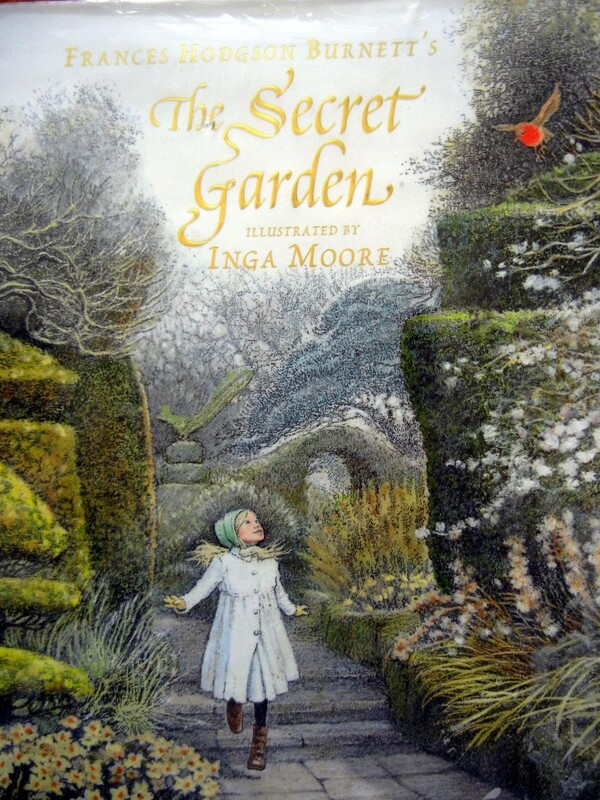 The Yorkshire moors, that figure so prominently in The Secret Garden. Burnett wrote the book, though, at Great Maytham Hall in Kent, where the gardens can still be seen. 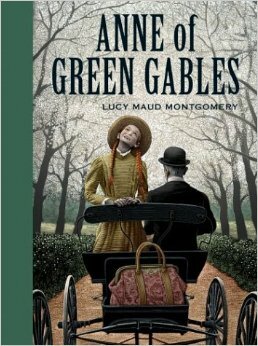 This entry was posted in Books, Inspiration and tagged Anne of Green Gables, Frances Hodgsen Burnett, J.K.Rowling, Little Women, Louisa May Alcott, Lucy M. Montgomery, The Secret Garden. Bookmark the permalink. I loved the “All of a Kind Family” series when I was a young girl. It’s about a Jewish immigrant family in early-1900s New York. As a Jew, I could relate to this big, charming family and their adventures. I’ve never heard of these books before Arlene. They look utterly charming, reminding me a bit of The Five Little Peppers Series. I too was an avid reader. Birthday money was always spent on books which I read and re read many times. I even put little tickets in them and imagined I had my own library. I also used the library a lot. Looking back, many of my favourites, the books I owned, were American, I loved all of the books about the March girls, I also loved What Katy Did and what she did next. Another series I liked was that about the nurse Cherry Ames. I had to Google the author and found there was more than one and that original copies are prized by collectors. I think my copies are still at my mother’s house but very battered, although I got my copies in the late 50s and early 60s so they maybe aren’t collector’s items. I also liked books about girls’ boarding schools, I can’t remember the titles. When I was smaller I had copies of Grimm’s and Hans Andersen’s Fairy tales although my copies included some of the more gory tales, like the one who kept the head of a loved one under a plant in a pot by the bed. You’ve got me thinking now. Hi Kirsten. I’m glad I’ve nudged you into remembering your favorites. I never read Cherry Ames. For me it was Sue Barton, Student Nurse. I wonder how many nurses today were inspired by books like those.